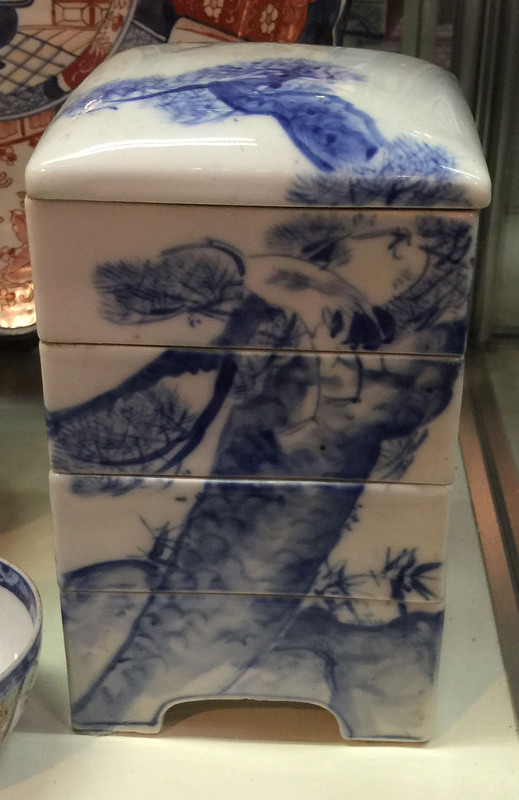 Late 19th / Early 20th C. Japanese porcelain stacking boxes. Underglaze blue tree and foliage design. 4 Boxes. 10″ total height.